Funny gag gift for music festivals, birthday parties, bar nights, viral videos, stress reliever. 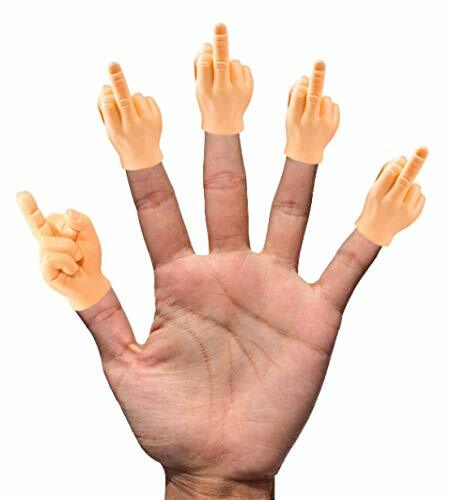 Fits on your finger to tell your friends how you feel. Middle Finger shaped hand like the emoji and great way to point to things! Skin safe material that bends and folds but retains its shape perfectly, it also resists more dust and dirt compared to softer models.